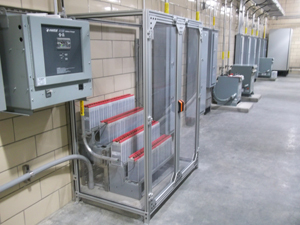 Since the early 1980's, we've helped commercial and industrial customers tackle their critical prime and back-up power challenges with innovative solutions ranging from a few watts to several kilowatts. We can provide renewable energy "green" systems for corporate and industrial facilities looking to reduce their carbon footprint and achieve sustainability initiatives. 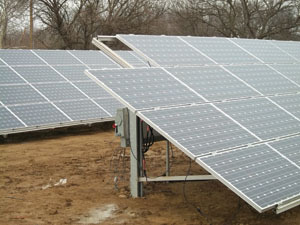 Solar Power Systems provide a reliable and proven source of DC power by converting sunlight directly into electricity. Solar Power Systems are a good fit for a variety of applications because they're very economical, require very little maintenance and have no ongoing fueling requirements. 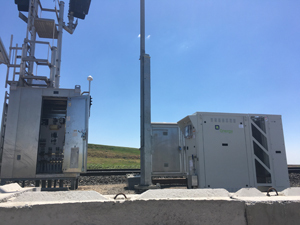 We offer both grid-tie and off-grid systems with multiple system configurations to meet virtually any of budget and/or site requirement. The Qnergy SmartGen Remote Power Generator combines the high efficiency Free Piston Stirling Engine (FPSE) technology with advanced combustion capabilities to efficiently transform propane, well gas and natural gas into electricity. The external combustion engine and automatic control system enable the generator to produce steady, dependable power in the 4kW to 6kW range and a design life of 60,000 hours.